It's a new year which means a new special monthly series in The Spoiler Room. This year is "IT CAME FROM THE 50s". We will be looking at monster films from the 1950s. 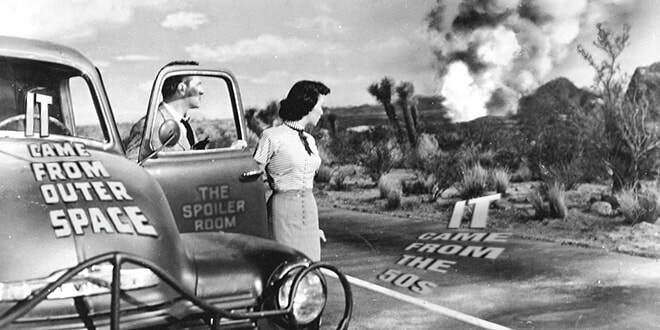 To kick off our special and our first episode of the year, the Crew sit down and discuss "It Came From Outer Space". Pull up a chair and listen in as they discuss this sci-fi horror from 1953. Crew in the Room: David, Paul, Scotty D and Mark "The Movieman".